William Parks “Bill” Dobbs, Jr., died on Thursday, August 25, 2016, at his home in East Ridge. He was born March 26, 1943, in Chattanooga to parents William Parks, Dobbs and Alma Gluck Peterson Dobbs. He was their second child; his two sisters are Sandra Lynn D. (Ray) Collins of Snellville, Ga., and Mary Ellen D. (Ray) Campbell of Mansfield, Ga. He is survived by his wife of 54 years, Barbara Diane Matthews Dobbs, and daughters, Melanie Elise Dobbs Gibbs, Dauna Lee Dobbs (Bill) Higney and Moira Kathleen Dobbs (Will) Smith of Chattanooga. Grandchildren are Daniel (Diane Elizabeth) Dobbs, Evan Wade Clinton, Emma Kaitlee Clinton, Robert Hayden Smith and Kate Elisabeth Smith, also all of Chattanooga. His great grandson, Matthew Parks Dobbs, was a blessing and joy to his life. Extended family includes Gerald Adams (Royce) Matthews, brother-in-law of Rock Spring, Georgia, and numerous fantastic cousins, nieces, nephews and friends. 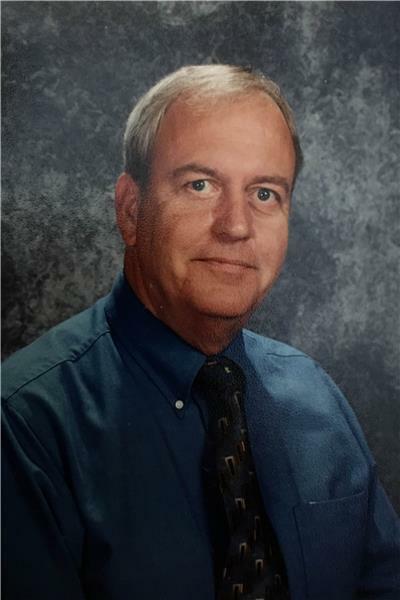 Parks attended Ridgedale Elementary, East Side Junior, Kirkman Technical High and was a graduate of Central High School, class of ’61. He was a long time member of Ridgedale United Methodist Church and more recently a member of Jones Memorial United Methodist Church. Over the years he worked for Combustion Engineering, 73 Magazine, Tadd Technical Services, Chattanooga Regional History Museum, Hamilton County Department of Education, Knox Sales and his own Digs Inspection. During the 80s, he served as scoutmaster of BSA Troop 40 of the Eastern District, Cherokee Area Council, and was a Wood Badge SE-333 trained leader. Parks was also a member of the Order of the Arrow. He served as a volunteer with the National Park Service in the Great Smoky Mountains National Park at the Sugarlands Visitor Center and at the back-country sites along the Appalachian Trail within the park. He became a licensed amateur (HAM) radio operator (K4TSF) as a teen. He had recently served as an officer, board member, and Sunday night net manager for the Chattanooga Amateur Radio Club. The family will receive friends in a celebration of life on Sunday, Aug. 28, from 1:30-3:30 p.m. at Jones Memorial United Methodist Church’s Stone Chapel, 4131 Ringgold Road, in East Ridge, Tennessee 37412. Informal dress please. A special thanks to Hospice of Chattanooga and to the dedicated caregivers who assisted our family during this time. In lieu of flowers or monetary donations, please consider becoming an organ donor. In doing so, you may save at least one life and possibly many more.